Costa Adeje is located on the southwest coast of the Canary Island of Tenerife. The district belonging to the town of Adeje nestles against the Atlantic Ocean. Long sandy beaches, palm trees and lots of sun is typical for the Spanish region. Whether beach vacationer, water sportsman or wellness friend: in Costa Adeje travelers experience a dreamlike vacation near to the coast of Africa. 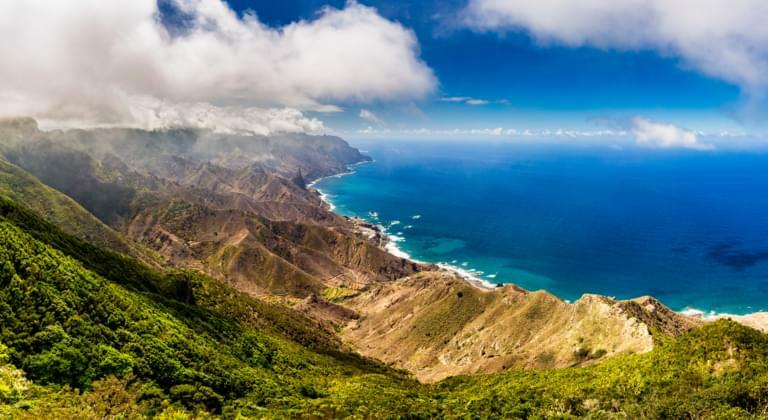 The sunny region on the Canary Islands is particularly well-tended and exclusive, which is why it attracts many holidaymakers who really want to be pampered. Families, singles and seniors feel equally at home here. In order to be able to use the extensive leisure offers optimally, visitors should book a rented car with the car rental in Spain favorably. The car makes an individual stay possible, with which travelers can move at any time independently and comfortably. Tenerife offers a wide range of rental cars, which is why visitors can choose the one that suits them best. You can find a car rental service at Tenerife South Airport (TFS), about 20 kilometres east of Costa Adeje. Tourists can pick up their rental car right after landing and drive the short distance from the airport to their hotel. This option is especially recommended for travellers with more luggage and an individual schedule. If you prefer to rent a car directly in Costa Adeje, you can reach the city by airport transfer and visit a car rental company there. There is also a large offer of SUVs, small cars or convertibles. Those who want to use a rental car anyway during the whole holiday can save money and pick it up directly at the airport. A price comparison for both options should be made before the trip. A car insurance is necessary to be able to drive safely with the rental car in Spain. Simply select the desired insurance option in the search mask of Driveboo. Only offers from car rental companies that correspond to your wishes will be shown. If you want to explore the Spanish city of Costa Adeje independently of public transport, you are well prepared with a rental car. With Driveboo you can not only find a suitable rental car easily, but also book it cheaply. With the practical comparison calculator, you can select the best one for you from a large number of offers. Profit from the TÜV-certified security and book your rental car for the desired travel period. The beautiful and kilometre-long beaches are one of the visitor magnets of the region. They belong to the most beautiful beaches all over Tenerife. They are clean and well-kept and some of them are lined with palm trees. In the evening you can watch some breathtaking sunsets here. Pack a beach towel, parasol and swimsuit and drive to the nearest beach with your rental car. Darker sand, but also optimal conditions for sunbathing and bathing, are found in the quiet bay of Playa de Torviscas. The small natural beach Playa de la Enramada and Playa de la Pinta, near which there is a marina for sport boats, are also worth a visit. Travellers can park their rental car at the port and change to a boat. There are several tours every day, during which dolphins are often spotted. From time to time even whales can be watched. Water sports enthusiasts and active holidaymakers such as anglers, divers, jet skiers and surfers also get their money's worth on the Costa Adeje. Visitors to the Aqualand Costa Adeje will find fun and relaxation. The large water park accommodates many swimming pools and slides as well as a dolphinarium. Visitors reach the Aqualand easiest by rental car, because it is well connected to the traffic network and has a large free parking lot. The car rentals in Costa Adeje are adjusted both to single persons, couples and families and offer a suitable rental car for each travel need. So everyone can spend an individual vacation without being dependent on others. That applies also to the choice of the trip goals. Since Costa Adeje was planned a few decades ago and was created as a tourist place, there are only few historical buildings. However, if you drive to nearby Adeje in a rental car, you can visit the church of Santa Úrsula, for example, which dates back to the 16th century and has been extended over time in various architectural styles. The building complex Casa Fuerte and the monastery Antiguo Convento Franciscano de Nuestra Señora de Guadalupe y San Pablo are also worth a visit. Guests can take a trip to the Casa del Duque. The manor house, built of chic natural stone, is situated on a promontory that extends into the Atlantic Ocean. Travellers can also explore the fascinating nature of the Canary Islands in the Parque Nacional de las Cañadas del Teide, which is a UNESCO World Heritage Site. The 19,000 hectare area of the national park in the interior of the island is characterized by bizarre rock formations that have formed over centuries through volcanic activity. Visitors can visit the park on the hiking trails and access roads, which are also accessible for rental cars. Those who want to visit the city again after the excursion into nature will quickly find it near Costa Adeje. The tourist stronghold Playa de las Americas and the port Los Cristianos are right next door. There are many shopping possibilities, restaurants and a golf course. Playa de las Americas, as well as Costa Adeje, offers you a very active nightlife with bars, discos, pubs and much more. When you return your rental car to the local car rental company, you simply follow the contractual rules laid down in the rental conditions. No matter at which station on Tenerife or in the city of Costa Adeje you would like to drop off your rental car, make sure that you adhere to the return location, return time, return date and return station as stated in your individual offer. Simply start the Driveboo price comparison and convince yourself of our favourable offers. With your rental car, you are flexible and independent of public transport. If the trip is suddenly cancelled, the rental car booking can be cancelled free of charge up to 24 hours before the start of your trip.